Over the past six weeks, I have had the opportunity to shoot my first set of stills for a film production. It was a fascinating experience watching how all the different scenes are put together to make one continuous, flowing story. Photographically, it was a very tricky assignment. The dark lighting conditions often resulted in me shooting at the limits of the camera’s capability: 3200, f4/2.8, and 1/60 to 1/30. Trying to stop motion under these conditions, and with noise problems affecting image sharpness, made this a real challenge. The other difficulty was the fact that, due to the camera’s shutter noise being picked up by the sound recordist, I could only shoot when the actors were rehearsing a scene or when sound recording wasn’t necessary. 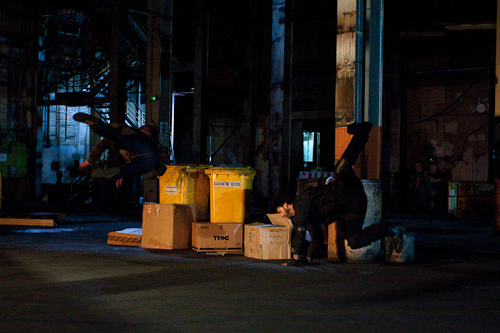 This gave me a limited window of opportunity to shoot action scenes, or to grab actors for a brief portrait. 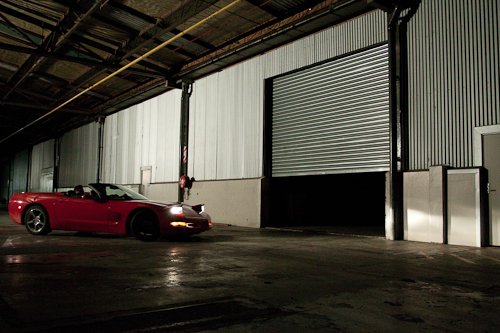 Below is a selection of the images from two shoot locations: one a disused warehouse on the site of the former South Pacific Tyres factory in Upper Hutt, the other the restaurant Osreria Del Toro on Tory Street, Wellington. 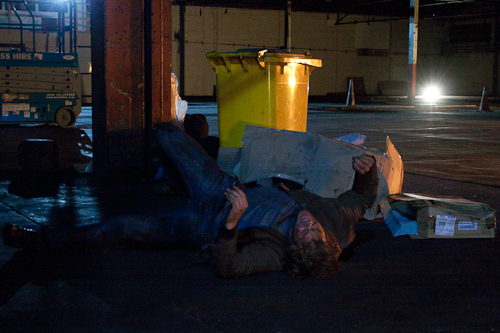 Actor Tony MacIver, as the character Sebastian, lies on the floor of a warehouse, feigning injury after an explosion stunt during the production of the film Contract Killers. 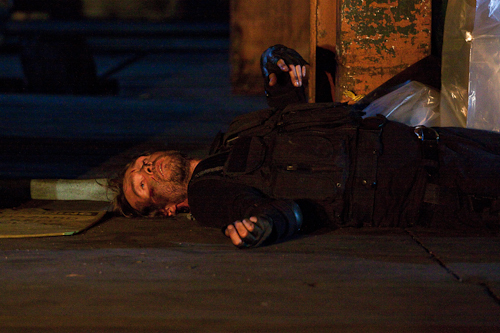 Actor James Trevena-Brown, as the character Marshall, lies injured on the floor of a warehouse after performing an explosion stunt during the production of the film Contract Killers. 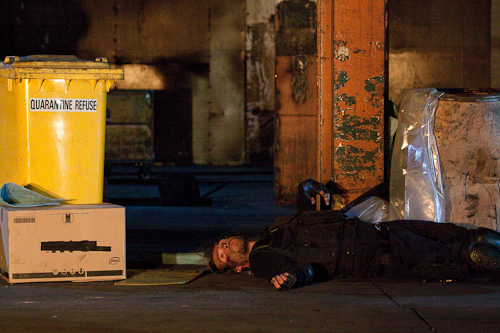 Actors Tony MacIver (right) and James Trevena-Brown, as the character's Sebastian and Marshall, throw themselves into a piles of boxes and debris in a warehouse while performing an explosion stunt during the production of the film Contract Killers. 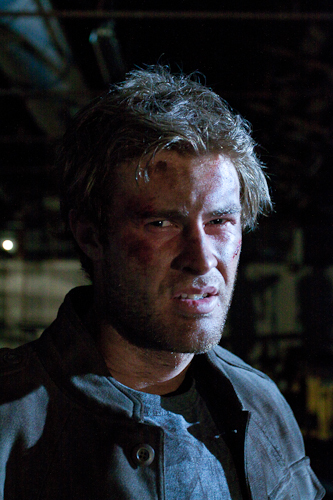 Portrait of actor James Trevena-Brown during the filming of Contract Killers. 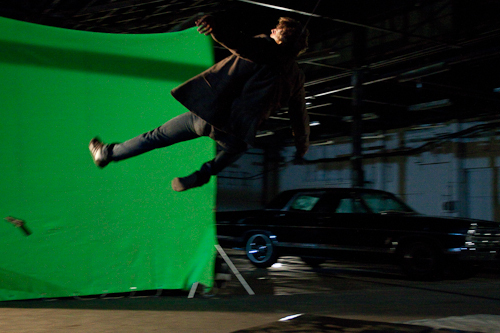 Actor James Trevena-Brown is pulled through the air using a weighted pulley system, as part of the explosion scene for the film Contract Killers. Actor Tony MacIver is pulled through the air using a weighted pulley system, as part of the explosion scene for the film Contract Killers. 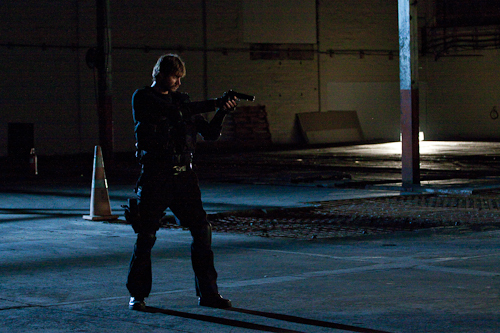 Actor James Trevena-Brown, aka Marshall, shoots a bad guy in a warehouse during the filming of Contract Killers. 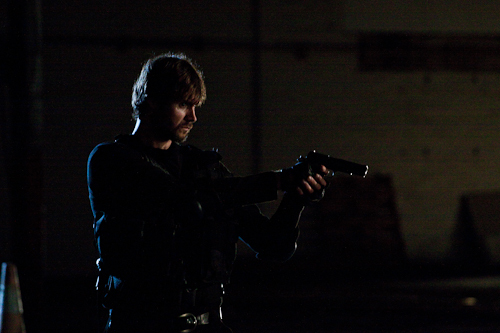 Actor Tony MacIver, aka Sebastian, during the shoot-out scene from the film Contract Killers. 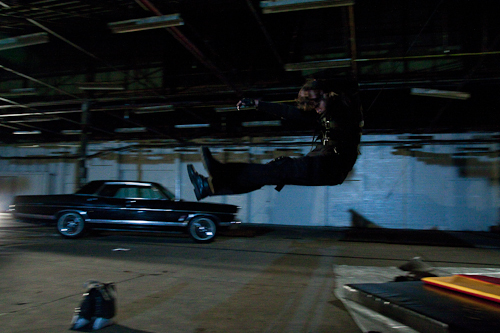 Actor Tony MacIver during an action scene for the film Contract Killers. 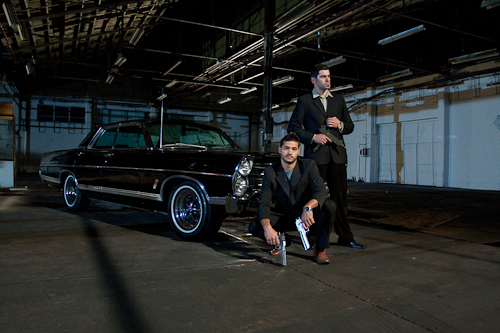 Portraits of actors Daley Tapa (left) and Logan Pithyou, playing "bad guys" on the set of the film Contract Killers. 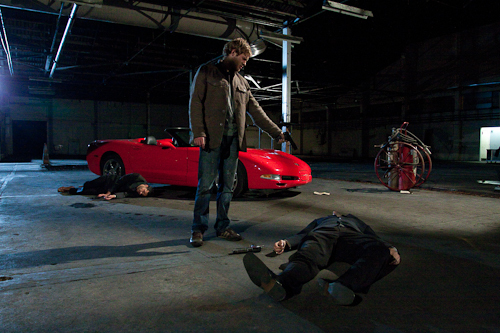 Actors Daley Tapa (left) and Logan Pithyou, playing "bad guys" on the set of the film Contract Killers, drive a red Corvette into a warehouse. 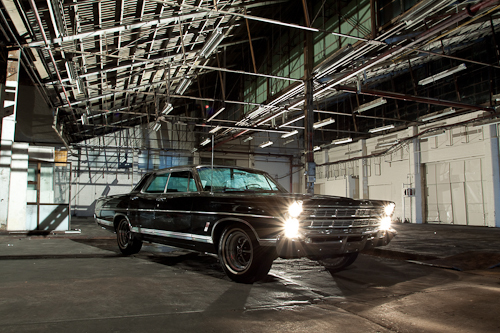 A 1976 Ford Galaxie used on the set of the film Contract Killers. 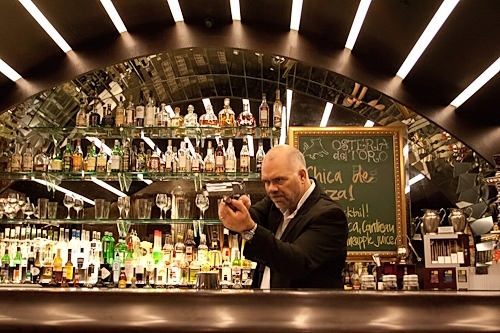 Actor Dallas Barnett, as the character Dario, on set behind the bar of the Osteria Del Toro restaurant for the film Contract Killers. Actors Dallas Barnett (right) and Renee Cataldo on set at the Osteria Del Toro restaurant for the film Contract Killers. Actor Dallas Barnett (left) as the character Dario, aids the gunshot-wounded James T Brown, as the character Marshall on set of the film Contract Killers at the Osteria Del Toro restaurant. 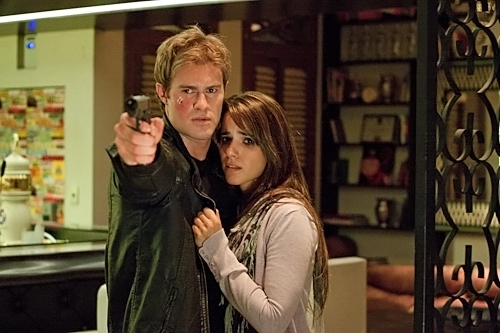 Characters Anabella and Dario, played by Renee Cataldo (left) and Dallas Barnett, argue in the film Contract Killers on set at the Osteria Del Toro restaurant. 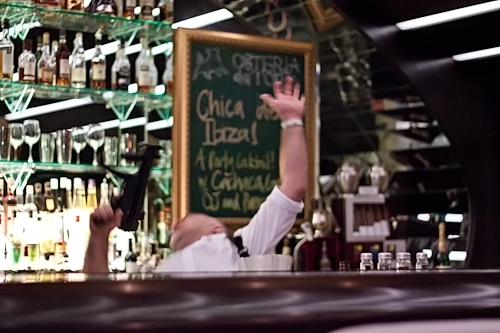 Dario aka Dallas Barnett, is shot behind the bar at the restaurant Osteria Del Toro for the film Contract Killers. Actor Dallas Barnett gets to rest his head while out of shot, and Renee Cataldo as Anabella, reacts as killer Lee Seng, played by Rob Young approaches (out of shot). 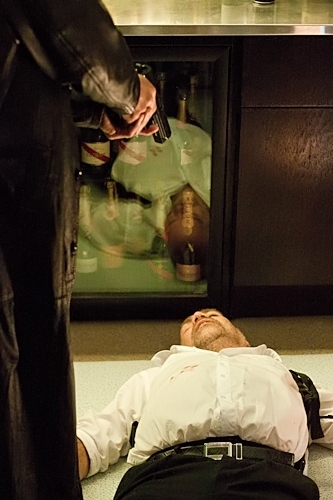 Actor Dallas Barnett, as the character Dario, is shot behind the bar of the Osteria Del Toro restaurant by Lee Seng played by Rob Young, on the set of the film Contract Killers. 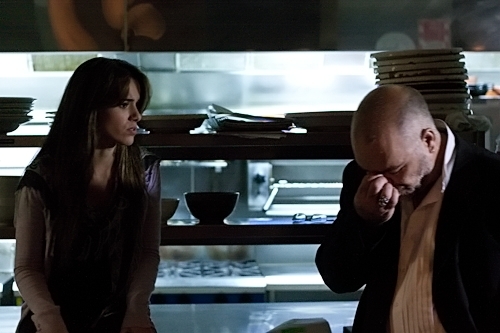 Dallas and Renee exchange last words before the character Dario, dies from gunshot wounds on set behind the bar of the Osteria Del Toro restaurant for the film Contract Killers. Marshall, the hero of the hour played by actor James T Brown, rescues Anabella (Renee Cataldo) on the set of the film Contract Killers at the Osteria Del Toro restaurant. Director Matt Pearson films actor Dallas Barnett on the set of the film Contract Killers at the Osteria Del Toro restaurant. 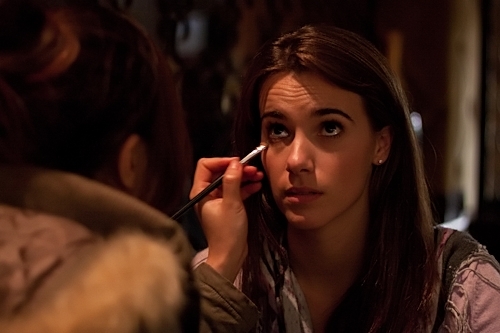 Actor Renee Cataldo has her make-up adjusted on the set of the film Contract Killers in the Osteria Del Toro restaurant.